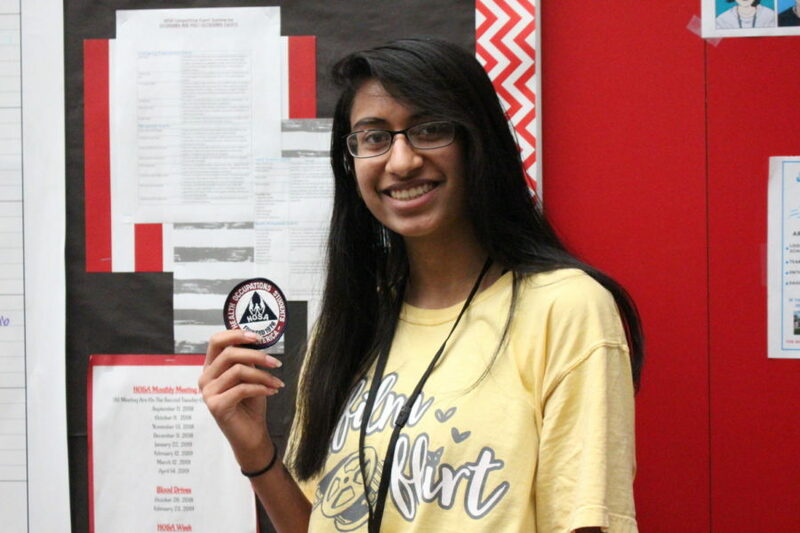 Coppell High School senior Namratha Mohan has been in Health Occupations Student of America (HOSA) since freshman year. Mohan is currently serving as HOSA’s President. 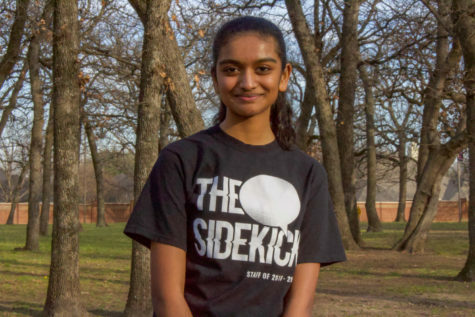 Coppell High School senior Namratha Mohan has been in Health Occupations Students of America (HOSA) since her freshman year and was selected as The Sidekick’s Student of the Week. 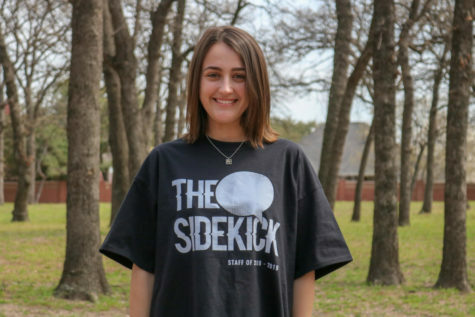 Currently serving as HOSA’s president, she reflects back on the impact she has left on the program and the impact the program has left on her. Why did you join HOSA? I joined in my freshman year but didn’t really become active until my sophomore year. I originally joined it because I knew I wanted to go into a field of medicine. I just didn’t know exactly what I wanted to do, and I figured HOSA would help me with that. Over time, I slowly discovered more and more about what I wanted to do, and I realized HOSA was the reason I could do that. I fell in love with HOSA in general. How have you contributed to the program? I am currently president of our [HOSA] chapter, and last year I was the reporter. I believe with the leadership of the officer team I have been fortunate enough to be a part of, I have been able to help other people discover their passion just like I have. HOSA has been able to help a lot of people discover what they really want to do in the future, even though that may be hard to say now as high schoolers. We’ve been able to help high school students discover if they want to go into a field of medicine, what specifically they know they are good at and what they’re passionate for through competitions, volunteering and other things like that. What has the program has given back to you? Like I said earlier, I was really able to discover what I wanted to do in the future, which is pediatrics. Through HOSA and competitions, I have been able to advance more and more. I’ve been able to meet some incredible people from incredible medical professions that I hope to be similar to in the future and that I look up to currently. I’ve been able to give back to my community in ways I didn’t know were possible before HOSA, and I’ve also been able to gain a sense of leadership I didn’t know I was capable of because I tend to be very shy and not quite outspoken. I became an officer in junior year, and I didn’t really know what I was getting into. I didn’t know if it was going to work out or if I could do it, but now I’ve understood the meaning of it, and I’ve been able to see the impact of what I’ve left with my officer team and the people I am working with. What legacy are you leaving when you graduate? This year was the year we had some great changes made to HOSA because of the requirements that you have to be in a Career & Technical Education (CTE) course to compete, so we’ve been able to gear our competitors in this specific mindset so that they have more focus. They’re more committed, because while we might not have as many members as we did in previous years, we were able to gain a much more dedicated membership group overall. Everyone that is in HOSA right now is extremely motivated and focused on what they want to do. What lasting effects will HOSA have in the coming years? From HOSA, I’ve been able to gain a sense of leadership, so I can keep the leadership skills as I move on throughout life and hopefully continue HOSA in my college years, depending on where I go. I also believe I gained a sense of empathy with my community that I can further my volunteering in different places in the medical setting. I’ve also been able to gain an amazing group of friends and mentors who I hope to be friends with or communicate with in the future as well. What is one of your favorite memories from HOSA? Last year, I didn’t compete in state or nationals, but I went as an officer in order to help organize and run the event. There were a lot of memories we had at state and internationals with the group of people who we went with because they are all so smart, talented and funny. They’re some of my closest friends today still. I think state and internationals let me meet so many cool people who I would never even imagine meeting, and I really extended out of my comfort zone then. That’s one of my favorite memories. What advice do you have for people joining HOSA? The number one thing I could recommend is to be an active participant. If you don’t really enjoy the benefits of HOSA, then you’re just paying the membership fee and not really attaining anything out of it. If you really put in effort, if you compete and volunteer, if you do what you want to do and you want to put that effort into it, [HOSA] can really take you far. It can help you decide what you want to do and how you want to pursue it. Follow Sally (@sparampottil) on Twitter.